After a month of high flows on the Bighorn, 9700 CFS, they are dropping the flows. 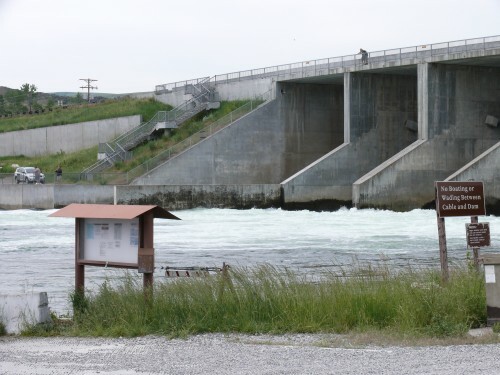 The Bureau of Reclamation announced today that flows were reduced from 9,700 cubic feet per second to 9,000 Monday and would drop to 7,600 cfs by Wednesday. On Thursday, another 500 cfs flow drop has been ordered, bringing flows down to 7,100 cfs. 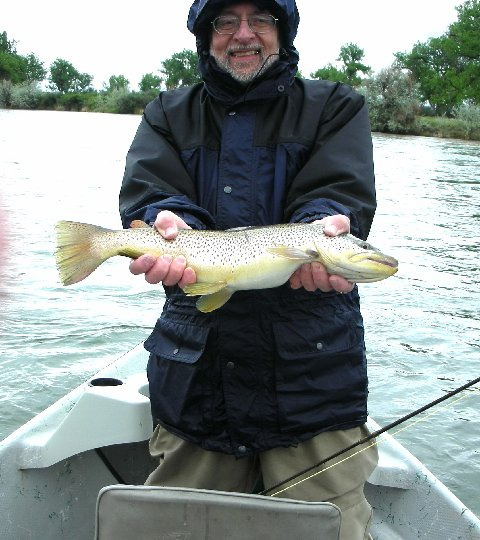 The Bighorn River Basin is less than 3 feet from the full normal pool. This will open up more wade fishing spots! See you on the Horn! Aubrey with a GREAT brown! Burney with another great fish! After a great day of fishing! Hey, they caught these carp by net! 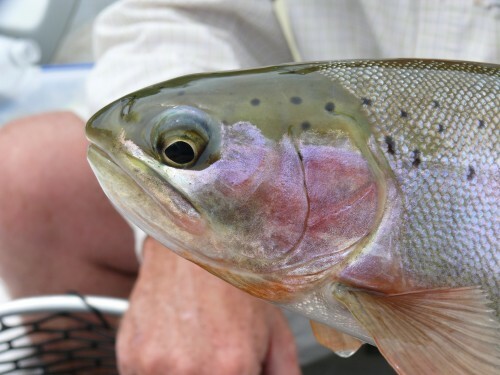 With the increase in flows continuing, and the end of it not in sight yet, the fish are gorging themselves on worms. 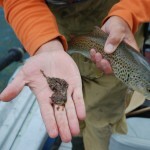 Check out these guys, just puking worms after we catch them. The Bureau of Reclamation on Thursday began making its second big flow boost in a week through Yellowtail Dam. 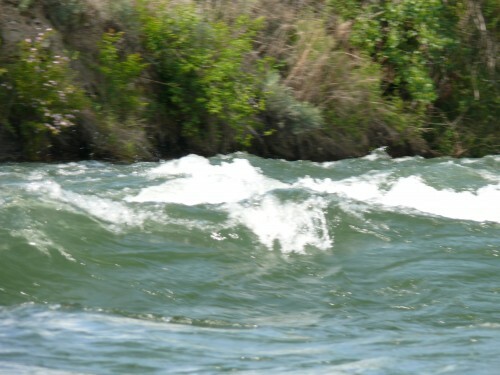 On Tuesday, flows to the Bighorn River went up 1,000 cubic feet per second to 7,200 cfs. On Thursday, flows will increase another 1,500 cfs. By Friday, the flows will be up to 8,700 cfs. 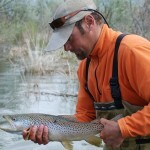 The increase was in response to increased outflows from the upriver reservoirs in Wyoming – Boysen and Buffalo Bill. The lake level in Bighorn Lake is 3,634.2 feet of elevation. The top of the normal conservation pool is 3,640. 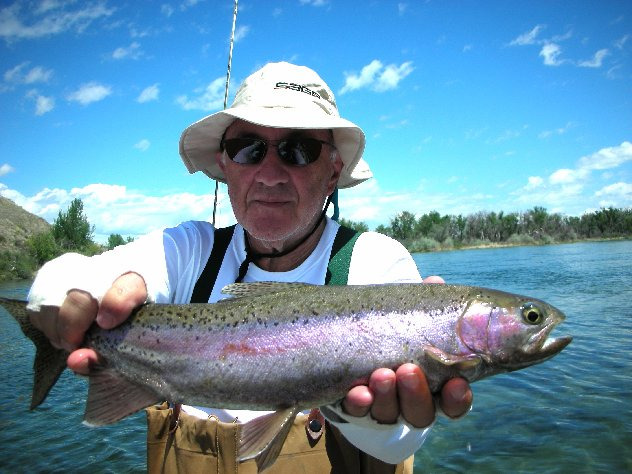 Stan Cohen and his Great Rainbow caught on the Bighorn River! Beautiful fish Stan! 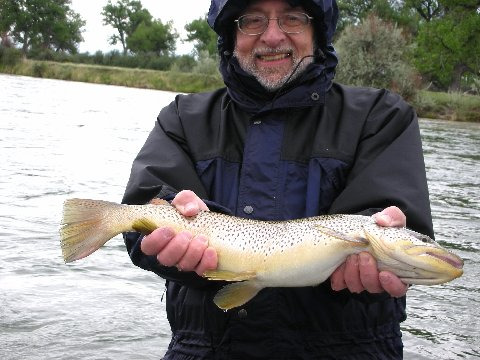 Just a short update to the latest fishing report. The river has gone up to 6000 CFS from 1300. Amazing what a little more water will do. The bottom is cleaning up dramatically and is flowing crystal clear. Floating from the Afterbay the other day, I felt like I could see each and every individual rock and pebble on the river’s bottom. It’s just awesome to see a return to normal stream flows. The fishing is EXCELLENT!! 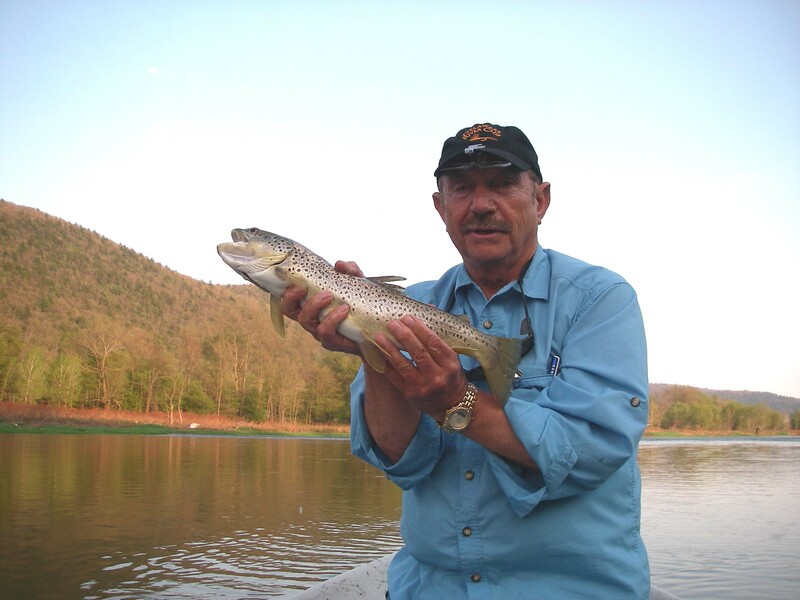 We have lost a little bit of our dry fly fishing, but the nymph fishing is tremendous right now. 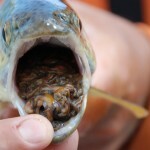 San juan worms, scuds, and ray charles are taking most of the fish, with an occassioanal zeba midge or baetis nymph. The river looks so good right now, and with the added water, things have really spread out. 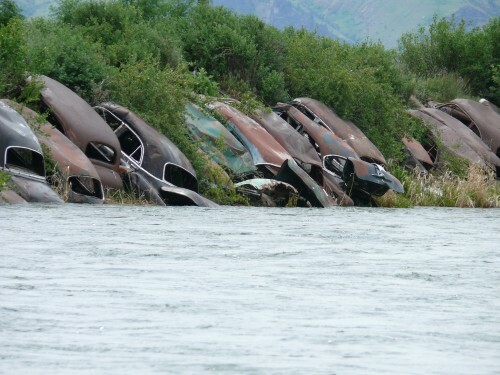 This should help alot with the increased fishing pressure during the rest of the state’s spring runoff. I feel like it is 1997 again, and I’m lovin it.